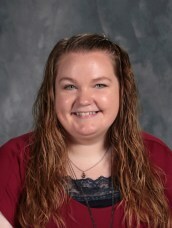 Kelsey Whitehead is one of the SEEDS (Special Education for Evansville Diocesan Students) teachers at the St. Boniface Campus. She grew up in Evansville and has a B.S. in Elementary Education with a double minor in Special Education and Reading from the University of Southern Indiana. ​Ms. Whitehead loves to incorporate a variety of techniques and approaches in each lesson for the students. “We are helping to shape our future leaders of our community.” In her spare time, Ms. Whitehead enjoys reading, seeing movies, cooking, and cheering on Ohio State Buckeyes in football.